PRICED TO SELL - IMMEDIATE VACANT POSSESSION - NO ONWARD CHAINWithin the highly popular and accessible village of Great Ouseburn, a surprisingly spacious 3 Bedroomed Cottage revealing well-proportioned rooms, set within attractive part walled south facing well stocked cottage gardens.EPC Rating: E Mileages: York - 14 miles, Harrogate - 16 miles, Boroughbridge - 5 miles (Distances Approximate). 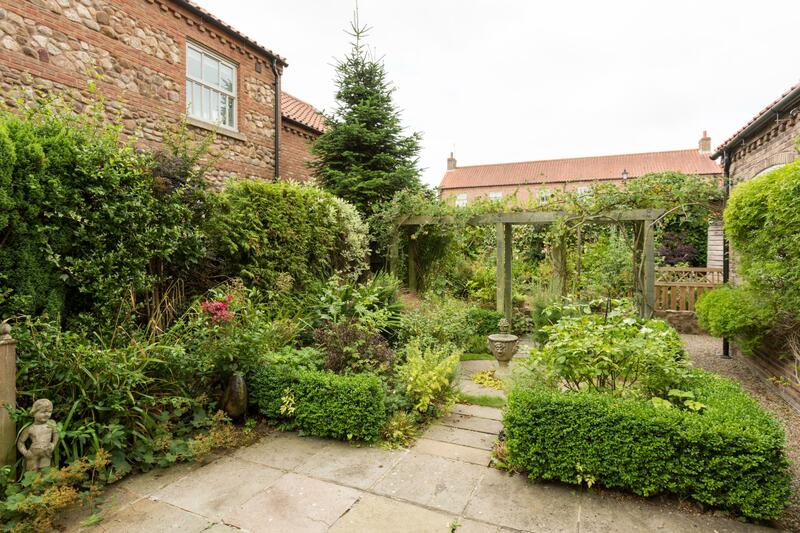 Within the highly popular and accessible village of Great Ouseburn, a surprisingly spacious 3 Bedroomed Single Storey Cottage revealing well-proportioned rooms, set within attractive part walled south facing well stocked cottage gardens. With Double Glazing, background Electric Heating and No Onward Chain. 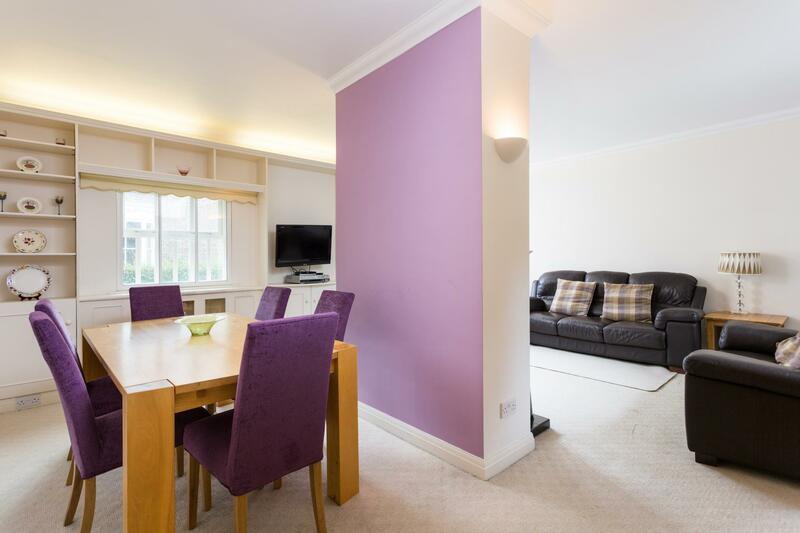 Reception Hall, 20'6 Sitting/Dining Room, Breakfast Kitchen, Utility Room, Master Bedroom with Luxury En Suite Shower Room/WC, Bedroom 2, Bedroom 3/Study, Family Bathroom. Attached Garage. Gravelled Drive providing off road parking. Part Walled and Landscaped Gardens. Forming part of an exclusive Courtyard Development built by Leeper Hare, Clarence Field Cottage is an attractive single Storey village cottage, which offers characterful accommodation featuring high ceilings, period fireplaces, quality breakfast kitchen complemented by attractive part walled south facing gardens. Internal viewing is highly recommended to fully appreciate. 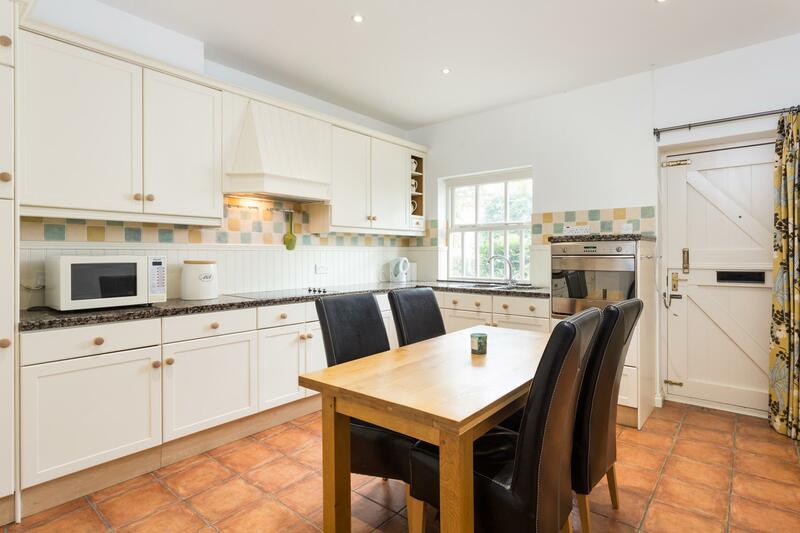 A panelled entrance door opens to a spacious RECEPTION HALL, double glazed doors open to a delightful SITTING/DINING ROOM, having a pleasant outlook overlooking the period houses fronting Main Street and French doors opening onto attractive south west facing landscaped cottage gardens. Feature central Adam styled fireplace having quarry tiled hearth, open fire with pretty tiled slips and cast surround. BREAKFAST KITCHEN, comprehensively fitted with a range of cream shaker style fittings comprising cupboard and drawer wall and floor fittings complimented by granite preparatory work surfaces, central 4-ring SMEG electric hob with extractor over, double bowl stainless steel sink unit, granite drainer, SMEG oven, dishwasher, pleasant outlook with a stable type door opening onto the Main Street. UTILITY ROOM, with range of fitted cupboards and space for an upright fridge/freezer, space and plumbing for a washing machine. With outlook over part walled landscaped cottage gardens, range of fitted wardrobes revealing hanging rail and shelves. 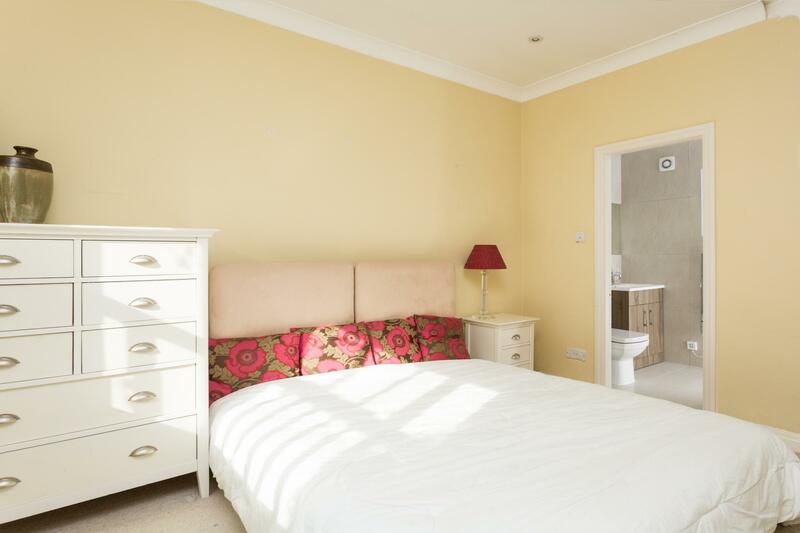 Fully tiled luxury EN SUITE SHOWER ROOM, walk-in shower cubicle overhead rose and hand-held shower, vanity basin and low suite WC, heated towel radiator, tiled floor. BEDROOM 2, with range of fitted wardrobes side aspect. 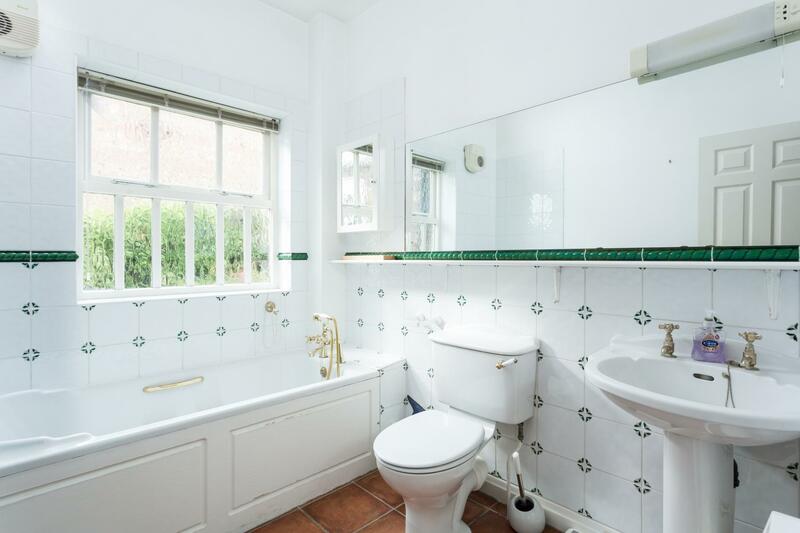 FAMILY BATHROOM, with half tiled walls and white suite comprising, shaped and panelled bath, pedestal wash hand basin, low suite WC, terracotta tiled floor, mirrored walls and shaver socket. 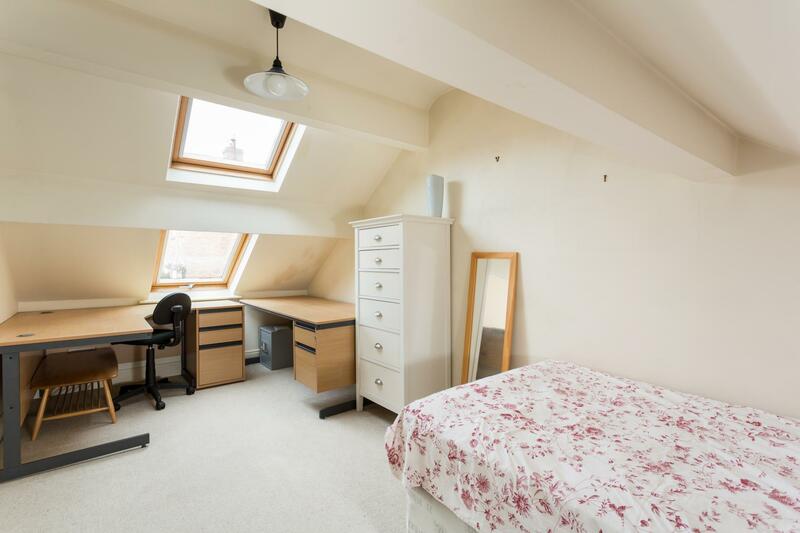 BEDROOM 3/STUDY, extending to 17' having restricted headroom with 2 double glazed Velux roof lights and horizontal access into the roof void for storage purposes. 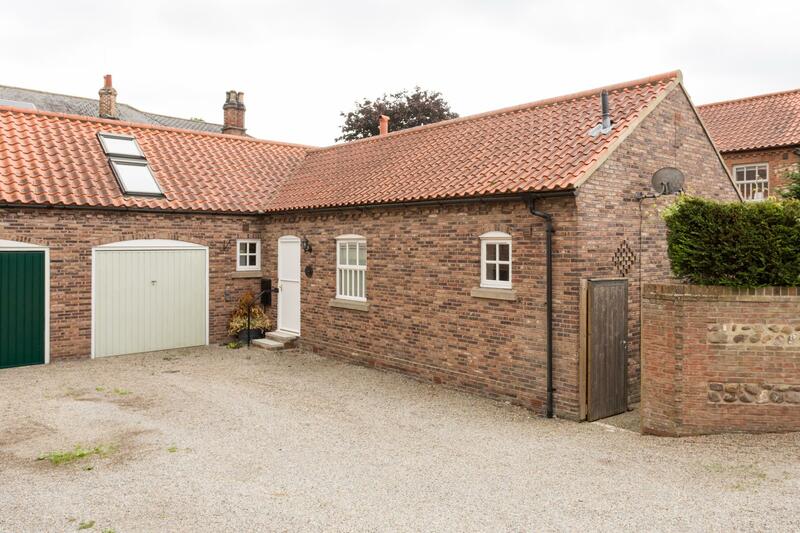 OUTSIDE Clarence Field Cottage is approached from Town End Court over a gravelled driveway providing off road parking for 2 vehicles and leading to the attached GARAGE (18'6 x 8'3) with light and power and up and over door. A wooden hand gate opens to the delightful part walled south west facing cottage gardens which have been immaculately landscaped with split levels, including a paved sun patio and borders abundantly stocked with shrubbery, including box, roses, cotoneaster with a timber Pergola having clematis and a further garden area and useful garden store. 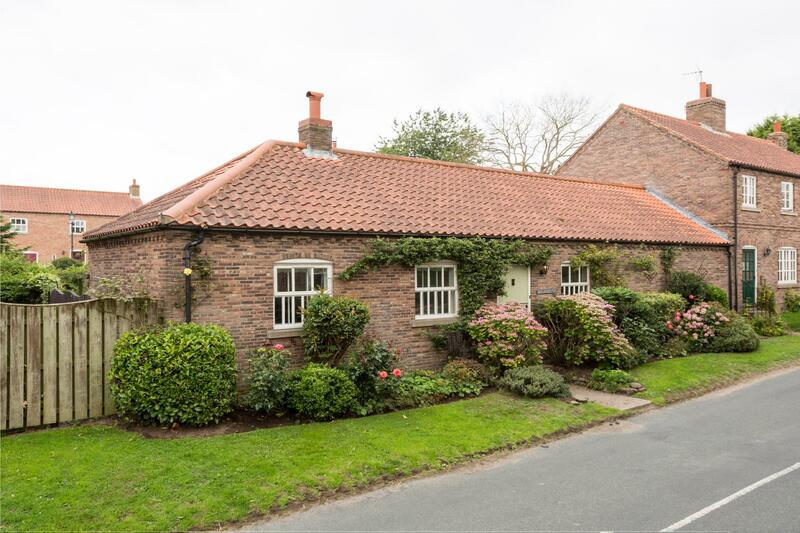 LOCATION Great Ouseburn was formerly an estate village owned by Lord Knaresborough, but is now a thriving community comprising a wide mix of properties which are principally set either side of its wide main thoroughfare. There is a good choice of amenities on offer in the village including a village shop/post office, primary school, active village hall, sports clubs and parish church. 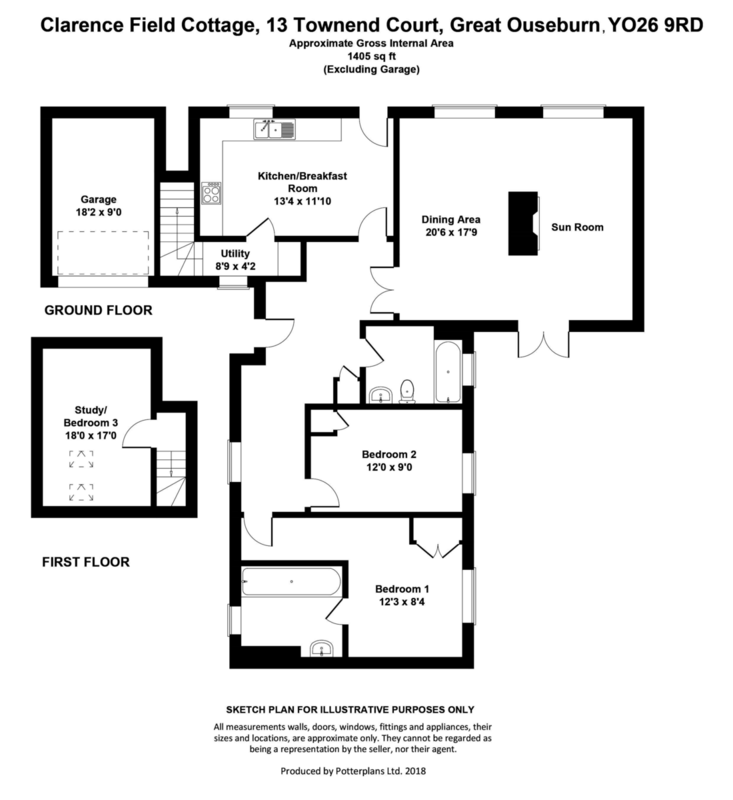 SERVICES Mains water, Electricity and Drainage, with background Electric Heating, Open Fire in Sitting Room/Dining Room. DIRECTIONS From the Boroughbridge office, head East on York Rd/B6265 towards Church Lane. Continue to follow the B6265. Turn Left onto Carr Side Road. Turn right onto Main street, travel for some distance turning right into Townend Court the property is on hand side and can be identified by the Williamsons "For Sale" board. 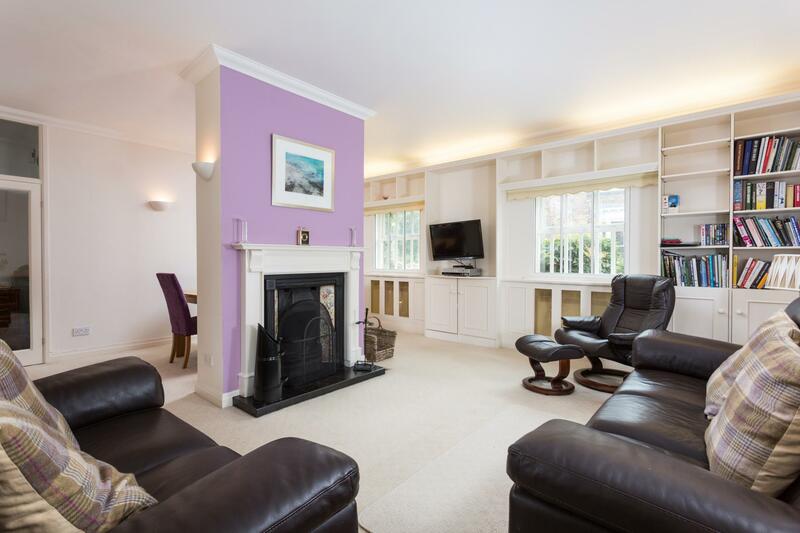 VIEWING Strictly by prior appointment through the selling agents, Williamsons Boroughbridge.